Are you looking to redo the roof on your commercial or industrial building? A metal roof installation done properly could last you for decades to come. 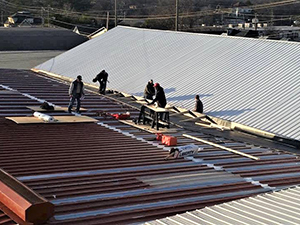 If you are in the Plainview, TX area and are looking for a metal roof installation, then the team at ACR Roofing is the team you’re looking for. Give us a call at (806) 669 – 7777 for more information. The benefits of a metal roof are many. 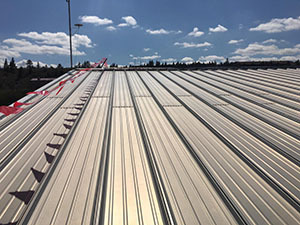 A metal roof can last decades longer than any other commercial roof option and tends to be much less worrisome than other roof types as well. Metal roofs are very resilient and do well in the harsh seasons Texas has to offer. Between the sun and the moisture, a metal roof could be the best option for your building. When your metal roof does eventually start to age, a roof coating is an excellent way to get your metal roof back in its prime condition. A roof coating provides your roof with the seamless watertight seal it had in the beginning and gives it plenty of years back. Roof coatings are also great at being energy efficient by reflecting the sun’s rays and saving you money. Roof coatings are also incredibly lightweight which is great for any roof, but especially with a metal roof because it adds next to no extra weight. Choosing the right roofing company can be a tough decision. At ACR Roofing we do our jobs quickly and efficiently so that it doesn’t have to affect the way you can do yours. ACR Roofing is a member of Choice Roof Contractor Group, which requires us to meet specific criteria and holds all of the members to a higher standard than most roofing contractors. We are committed to providing all our clients with only the best customer service and quality craftsmanship. We will customize each project we work on because we know that all buildings and roofs are unique. The team at ACR Roofing will always get the job done right and you will be in great hands from the moment you give us a call. For any metal roof installation in the Plainview, TX area, call ACR Roofing at (806) 669 – 7777. We will get one of our highly trained roofers out to you as quickly as possible and answer all of your roofing questions. At ACR Commercial Roofing, our friendly, knowledgeable, and certified spray foam applicators are willing to work with you. We are devoted to keeping our customers up-to-date and educated as we guide them in making good decisions for all their commercial roofing needs. Contact us today at (806) 712-8162 to see how we have perfect workmanship with world-class customer care to give you the best spray foam roofing service. 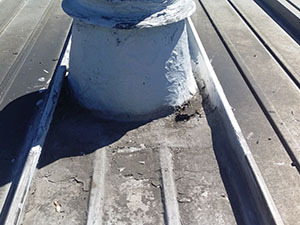 Spray foam roofing services are a common solution for commercial roofs that need to be repaired or a more extensive restoration. The liquid-applied formula can be put on shingles, asphalt, metal, single-ply systems, wood, and concrete directly. This will expand its liquid volume 30 to 60 times immediately. This means the foam can stick to odd-shaped roofs and easily surround roofing structures like chimneys, vents, and ductwork. 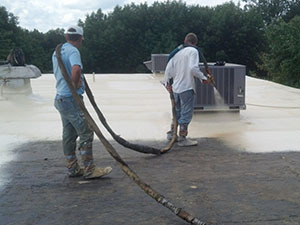 Our spray foam roofing services are lightweight, leak-proof, energy efficient, and very durable. Our spray foam gives you resistance to heat flow. You won’t have to deal with failing seams and issues that come with that. Our team of professionals are highly-trained and certified. We use the best and only the best products for spray foam roofs. We make sure that it is applied efficiently and smoothly, with no uneven spots or gaps. 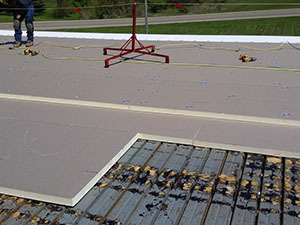 Once your foam roofing system has been applied to the correct thickness, protective layers are applied to protect it from the suns UV rays, wear and tear, and weather. We will also add a final layer of silicone or acrylic coating that will increase the durability of your roof. If you are wondering if you are eligible for a spray foam roofing service. You can reach us at (806) 712-8162 to get a free onsite roof evaluation. Our team full of experts will be glad to give you all answers to questions that you have. 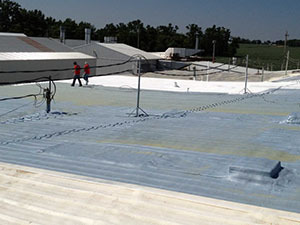 ACR Commercial Roofing offers a multitude of commercial roofing services to clients in Brownfield, TX. When you hire us, you can expect quality workmanship and top customer care. 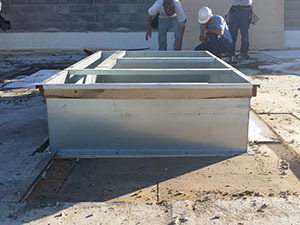 Our team of professionally-trained commercial roofing contractors work hard to provide clients with cost-effective and long-lasting roofing solutions. For a free project estimate, give ACR a call at 806-669-7777. ACR is a full-service commercial roofing company, which means you can always count on us when your roof is in need. We offer thorough roof inspections and roof leak detection for our clients. Once we’ve diagnosed the problems, we can then recommend the appropriate services to get the most out of your existing roof. Over our 20+ years of commercial roofing experience, ACR Commercial Roofing has been hired to repair all types of commercial roofs. Our technicians know the most efficient and cost-effective ways to fully repair your roof so that you won’t have to worry about any recurring leaks. ACR roofers are professionally trained and fully licensed and insured. If you need a new commercial roof installed, ACR Commercial Roofing is a reputable company with a proven track record of long-lasting roofs. We specialize in durable “green” roofing solutions that will improve the energy-efficiency of your building. This means massive longterm savings thanks to your new expertly-installed roof. You save a lot of money when you opt for a roof coating in lieu of a full roof replacement. Not only is a roof coating very affordable, but it’s also capable of restoring your existing roof back to top condition. The lightweight layer is completely seamless and fits the exact shape of your roof. The reflectiveness of a roof coating could potentially save you up to 30% on energy costs. Before you pay for a costly and disruptive full roof replacement, find out more about our ability to restore your roof! 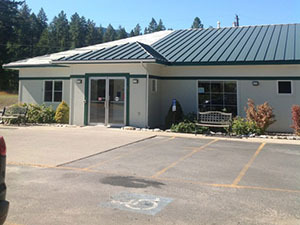 ACR Commercial Roofing offers all of the services listed above and many more! Clients in Brownfield, TX looking for trustworthy commercial roofing contractors need not look further. To find out more about our services, call us today at 806-669-7777. We offer free onsite roof evaluations and no-obligation estimates on our services. 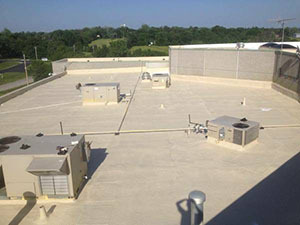 ACR Commercial Roofing specializes in the installation, repair, maintenance, and restoration of single-ply roof systems, including TPO, PVC, and EPDM. We have more than 20 years of experience serving residents of Brownfield, Texas, and the surrounding areas. If you are looking for precise, efficient services for your single-ply roof, look no further than ACR Commercial Roofing. We install and service all types of single-ply roofs, upholding the highest standards of quality workmanship and customer service in the industry. Call us at 806-669-7777 today to learn more. Thermoplastic – Softened by heating and hardened by cooling, as many times as desired. Thermoset – Irreversibly solidify after heating. Ethylene Propylene Diene Monomer (EPDM) – Rubber-based membrane that is usually black, unless a reflective coating has been added. Polyvinyl Chloride (PVC) – White membrane with superior resistance to many chemicals, including grease, fat, petroleum, etc. Single-ply membranes can be installed in many ways and usually use a combination of the following: fully adhered, mechanically attached, or held down with ballast. GenFlex Roofing Systems has been a leading, full-line supplier of high quality single-ply roofing products for the commercial roofing market for over thirty years, specializing in EPDM and TPO systems. GenFlex’s EPDM single-ply membranes are tough, standing up to tears, impacts, punctures and normal roof traffic. They also offer excellent resistance to ozone and ultraviolet light exposure, all while maintaining elasticity and flexibility. There are 4 to choose from: EPDM, a fire retardant EPDM, a polyester-reinforced EPDM, and a white-on-black EPDM. GenFlex’s TPO systems, on the other hand, offer the durability it takes to withstand the most punishing elements, while providing outstanding heat-reflectivity and energy efficiency for high performance that’s strikingly affordable. GAF is North America’s largest commercial and residential roofing manufacturer. 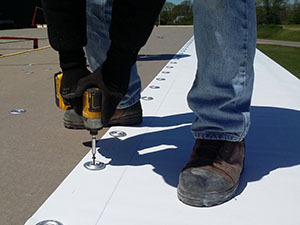 Their single-ply roofing membranes provide great flexibility and UV resistance, can be installed in one layer using fasteners or adhesives, and come in a variety of materials. GAF’s EverGuard® TPO combines the weather resistance of EPDM with the reflectivity and seam strength of PVC. EverGuard Extreme® Advanced Protection® TPO offers exceptional performance in high heat and sun exposure. EverGuard® PVC offers the advantages of heat-welded seams and high reflectivity, plus superior resistance to chemicals, oil, and grease.